Often we are asked to provide a low cost wedding photography package for a simple wedding and 2nd marriages are often an opportunity for this. Without the need for the whole gala event we are able to provide a much more compact presence and just shoot the specific components of the wedding that happy couple want. 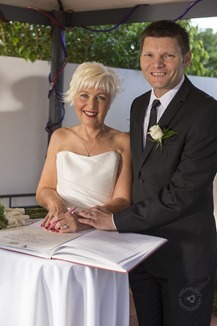 Kerryn and Michaels wedding was held in the private garden of a small restaurant that they had booked for their reception. We just photographed the ceremony and a few photos (before it rained) in a nearby street and park making use of the local area. 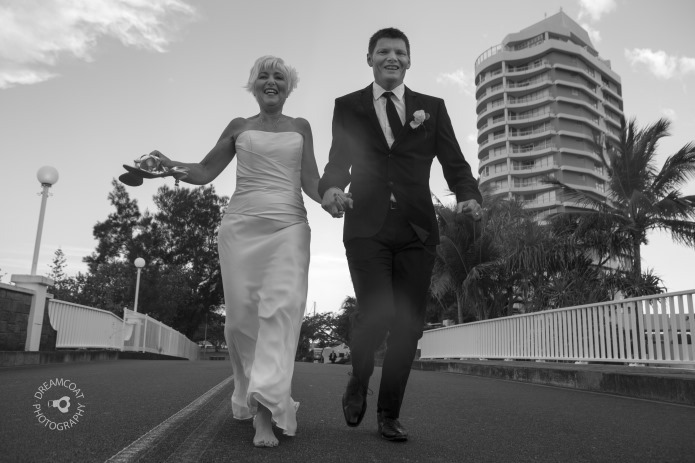 If you want a simple wedding photography package like this then we can oblige.